Jeanette Anderson Slipped quietly away on Saturday April 6 to inherit her heavenly mansion as promised by our Savior and Lord in John 14 . She was surrounded by her family and caregivers during her final hours. 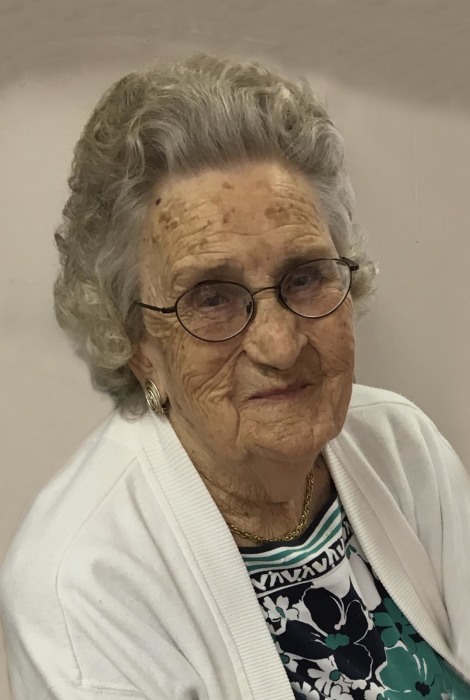 Jeanette was born April 2, 1927 and was raised on Creek Road in Olanta, SC. She was married to Johnny Anderson and lived on the Anderson Family farm her entire adult life. Jeanette worked the family farm prior to being a career bookkeeper for Timmonsville district 4 school system. She was mother to 5 children and wife to her husband of 62 years prior to his passing in August 2012. She Loved reading her Bible, attending Church, her family and visits from the Grands and Greatgrands. She is survived by her four sons ... William Anderson, (Dena) Winston-Salem, NC, Jay Anderson(Diana) of Columbia, SC, Watson Anderson,(Belinda) of Timmonsville, SC, Russell Anderson of Timmonsville, SC and her daughter, Lois Anderson Kirby, (Lee)of Timmonsville. Her grand children: Jonna, Will, David, Jesse, Jason, Sarah, Jamie, Justin, Barrett, Katie, Matthew, Deana. Great grandchildren: Elizabeth, Kate, Abigail, Nora, Sloan, Davis, Ever, Adilyn, Chase, Emmy, Jessica, Dylan, Caitlyn, Jonah and Ellie. Also survived by one sister-in-Law, Libby Jeffords. She was special mother to all but especially John Anderson, Lovette Hobbs, Brenda Hobbs and Everett Hobbs. She was preceded in death by her entire family. She was the sole remaining child of Jesse E. Strickland and Minnie Lee. Funeral services will be held at 11:00 AM, April 9th,2019 at Peniel Baptist Church, there will be no graveside services and a private family service. Visitation will be from 6 to 8 PM on Monday April 8 at Layton-Anderson Funeral Home. Memorials may be made to the Peniel Baptist Church Music Fund, 4186 Twin Church Rd., Timmonsville, SC 29161.